Download "Morning Route Post Office Pickup 7:30 AM. Afternoon Route 9:50 AM 9:25 AM. Central Receiving Heating Plant Alumni House Academic Building"
4 Making sure the sender has your mailing address as shown will ensure the most expedient delivery for your mail and packages. 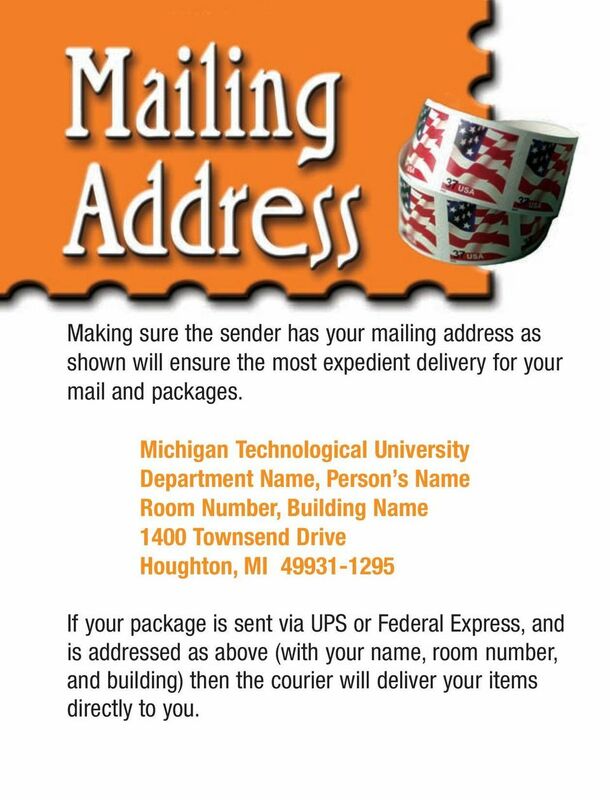 Michigan Technological University Department Name, Person s Name Room Number, Building Name 1400 Townsend Drive Houghton, MI If your package is sent via UPS or Federal Express, and is addressed as above (with your name, room number, and building) then the courier will deliver your items directly to you. 6 Using Postal Soft software, we can sort your mailing list, apply the name and address directly to the mail piece, and send it out for you at discounted postage rates. We can also cleanse your address list for you free of charge to make sure you are getting the most postage discounts possible. Basic Letter Rates: (as of May 2009) First class.44 Nonprofit.172 First Class presorted: from.44 or less depending on sort, need 500 minimum to presort. Nonprofit presorted: from.172 or less depending on sort, need 200 minimum to presort. 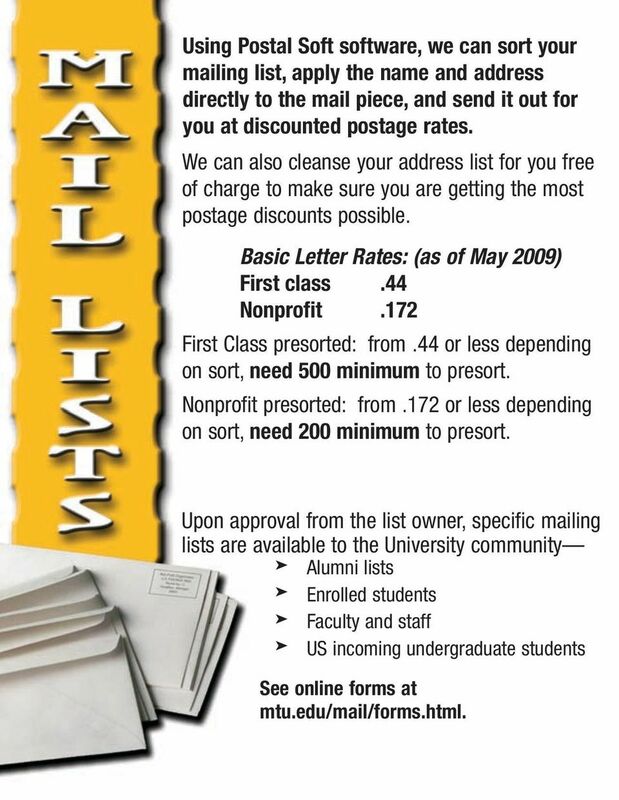 Upon approval from the list owner, specific mailing lists are available to the University community Alumni lists Enrolled students Faculty and staff US incoming undergraduate students See online forms at mtu.edu/mail/forms.html. 7 With our help and these tips, we can save you $$. 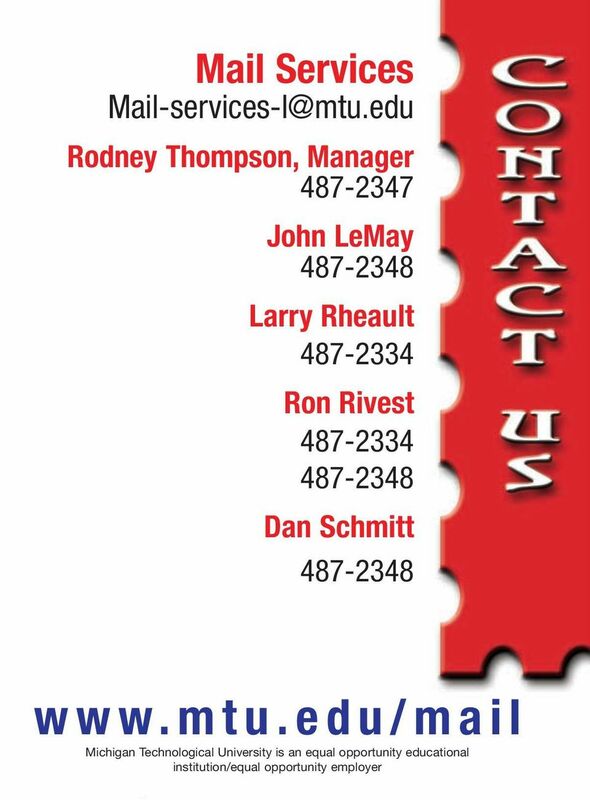 We can screen your mailing list for unnecessary names, duplicates, and incomplete addresses. We can address and barcode your mail for postage savings. 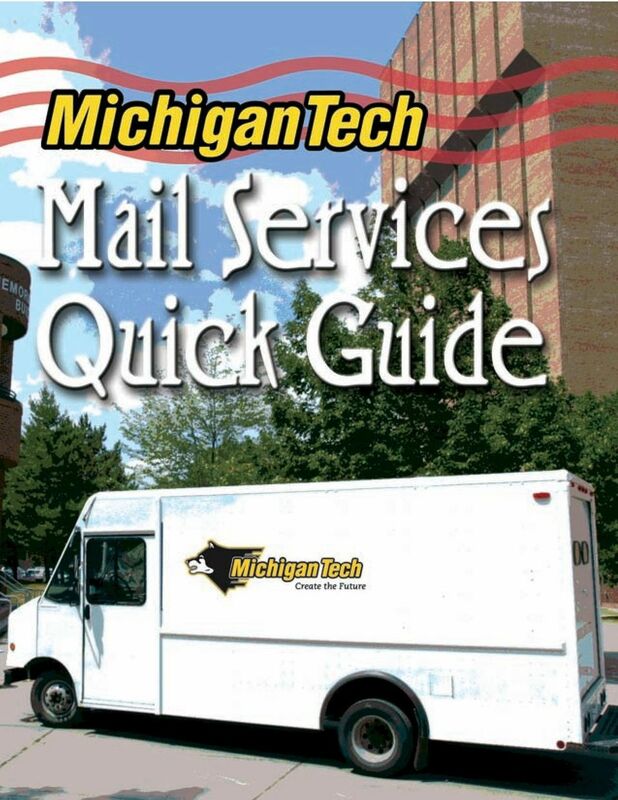 Use Certified instead of Registered mail whenever possible. 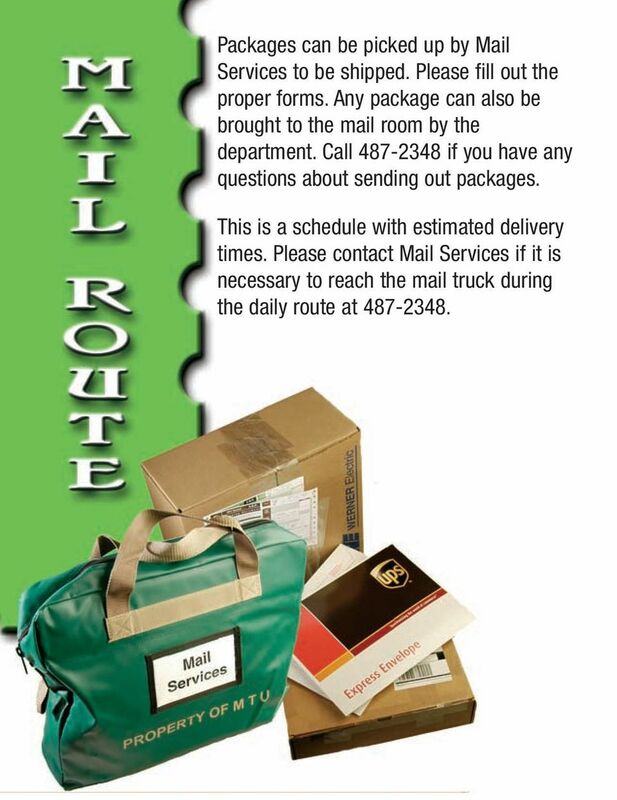 It costs less and still provides a receipt and notice of delivery to the sender. Do not over-insure. The post office and UPS will only pay the actual value of an item, not the declared value. Use postcards for short messages or announcements. The cost is 1 3 less than sending an envelope. Use Business Reply envelopes provided by vendors, instead of department envelopes. 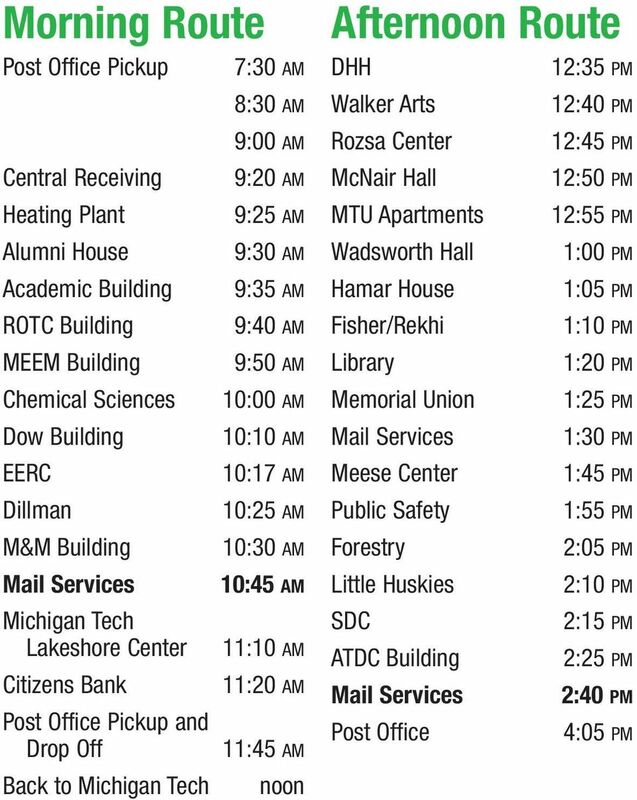 FAX the information when time is crucial, instead of using Express mail. Request Library and Media rate whenever possible. 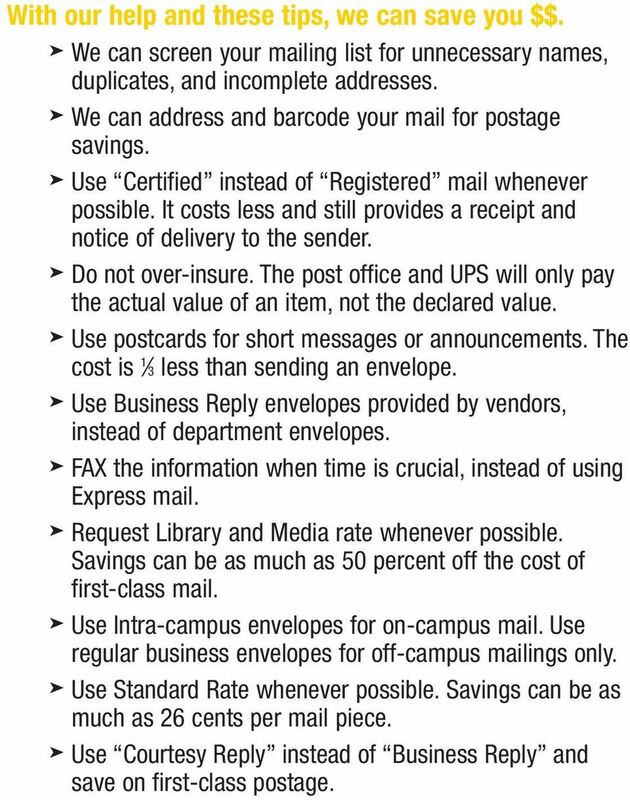 Savings can be as much as 50 percent off the cost of first-class mail. 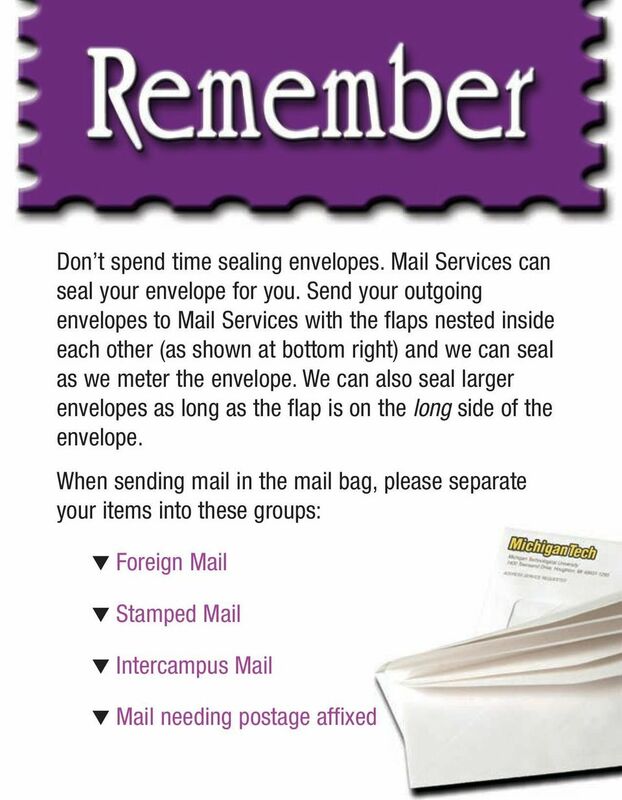 Use Intra-campus envelopes for on-campus mail. Use regular business envelopes for off-campus mailings only. Use Standard Rate whenever possible. Savings can be as much as 26 cents per mail piece. Use Courtesy Reply instead of Business Reply and save on first-class postage. We have developed an industry leading Final Expense lead solution with Lead Concepts that includes discounted pricing and multiple lead types.